BUMI’s commitment to implement Corporate Sosial Responsibility and Environment has supported the Presidential Regulation (Perpres) no. 59 of 2017 on the Implementation of the Achievement of Sustainable Development Goals. BUMI‘s excellent operations are driven by highly competent team who work hard and thoroughly attend to the implementation of HSE within their operation functions. The adopted stateof-the art IT has even accelerated the operational robust growth which benefited not only the Company but also the community and the environment where the business operates. 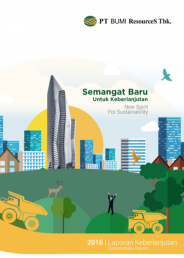 BUMI believes that the sustainability programs that are being implemented continue to provide benefit and value to BUMI and the community as well as the environment where the company operates. 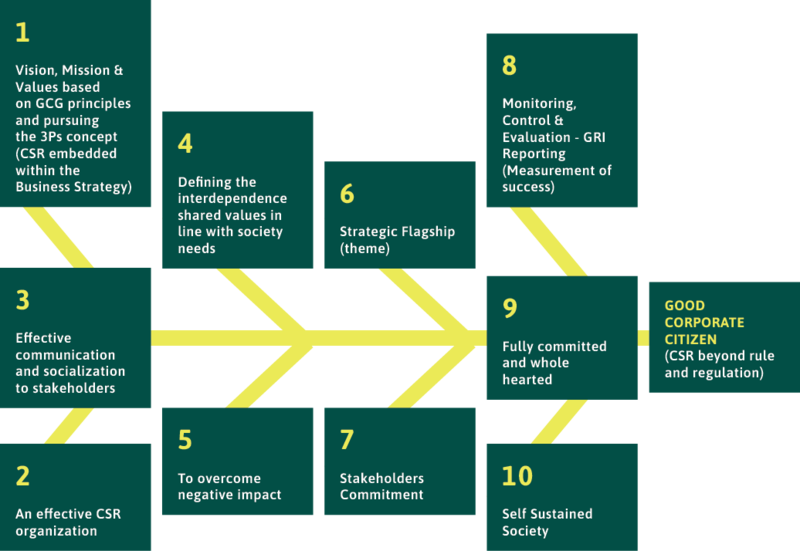 For BUMI, this approach is evidence reflecting the Company’s serious commitment towards the implementation of sustainability principles that include Accountability, Transparency, and Responsibility. The purpose of the Flagship is to ensure competitive edge amongst investor and customers, mitigate risks, and ensure sustainable development of growth and profit. "To develop self-sustained society through Indonesian uniqueness, usefulness to all and togetherness, supported with an integrated strategic communication for local, national and international communities." We are aware that natural resources such as coal shall be used carefully and produced in ways that do not harm the environment. Therefore, BUMI and its business units are committed to producing coal without endangering the environment and at the same time creating community welfare and independence in order to achieve sustainability. 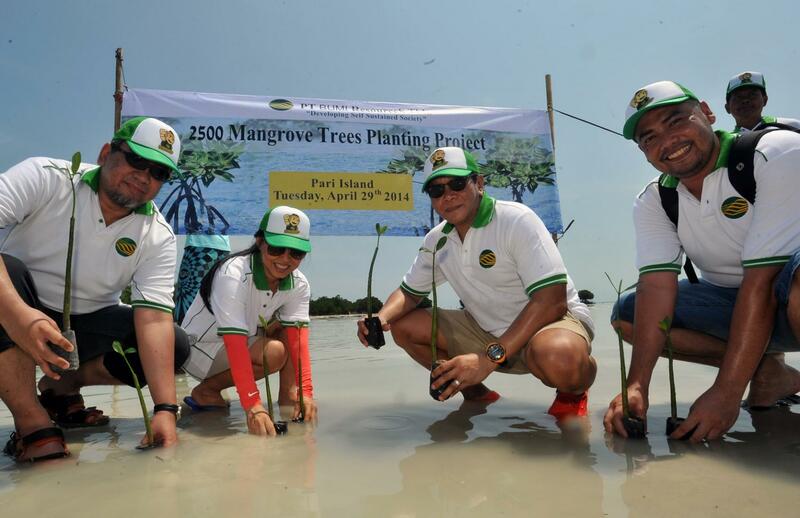 BUMI’s commitment to Social and Environmental Responsibility has been implemented consistently in accordance with the established strategic plan, and support the Presidential Regulation (Perpres) no. 59 of 2017 on the Implementation of the Achievement of Sustainable Development Goals (SDGs). 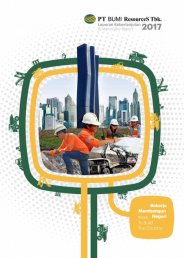 BUMI and business units, PT Kaltim Prima Coal (KPC) and PT Arutmin Indonesia (AI) still follows the pillars of the Sustainable Development Goals (SDG's) and integrated into each of SDGs activities namely the pillars: People, Planet, Prosperity, Partnership and Peace. These SDGs activities are expanded into seven sustainable CSR programs and are implemented by KPC and AI based on ISO 26000. 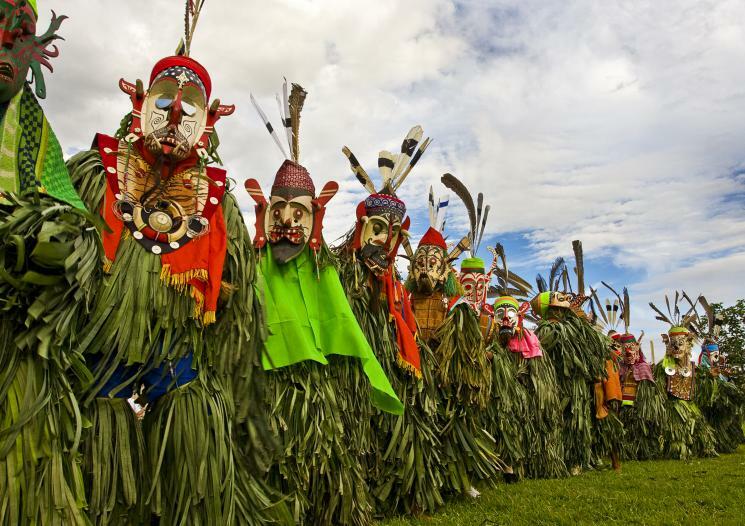 The seven programs are the developments of agribusiness, small and medium enterprises, improvement of capacity of government institutions and the society, health, education and training, infrastructure, as well as natural and cultural preservation. The total budget BUMI’s CSR activities and business units is amounted to US$ 5 - 6 million. Competent human resources are required by any company, especially now that businesses operate in a rapidly developing environment. In terms of workforce scale, business growth certainly brings about the need to hire more quality people, which in turn creates the competition amongst companies to get the best talents. In the process, not all companies succeed in hiring human resources that fully correspond with the companies’ criteria – something that many companies recognize as one of the challenges in human resource management. Training and skill development programs are therefore important to improve employee capabilities. With its international scale businesses, BUMI applies the best practice according to international standards, Environmental Management System ISO 14001 for environmental management, including waste management in subsidiaries. 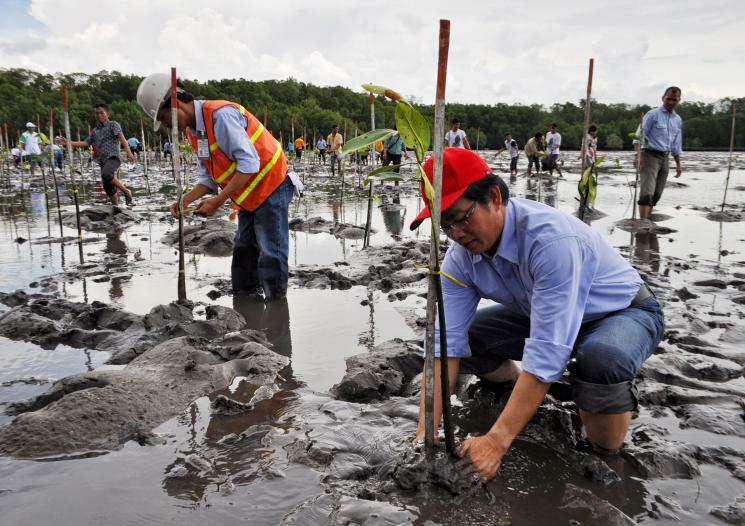 The full involvement from government supervisory bodies, the management, and all staff support extensive and effective initiatives implemented in order to minimize or eliminate mining impacts as well as promoting reclamation and revegetation activities, which invite community participation. 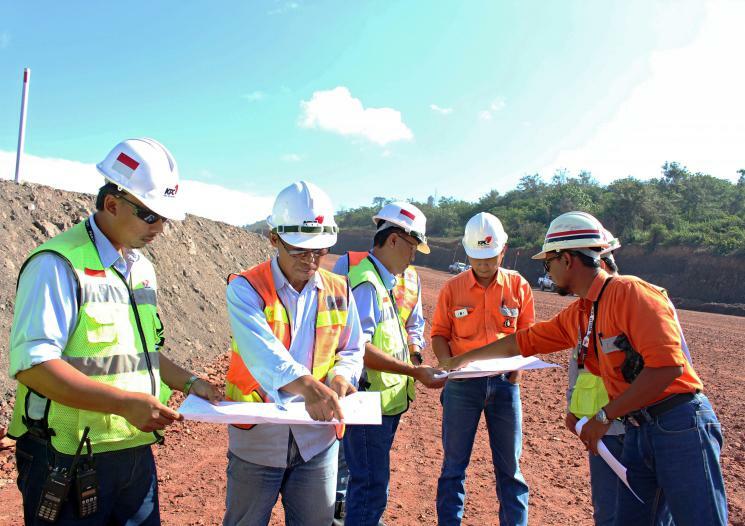 All activities of environmental management and monitoring are carried out by subsidiaries with wide-scale production activities, PT Kaltim Prima Coal and PT Arutmin Indonesia. All programs are defined in OTP (Objective, Target, Programs) that complies with ERA (Environmental Risk Assessment). OTP is integrated with Environmental Management System ISO 14001 which is implemented in KPC and Arutmin. The Increase of BUMI’s coal productivity through its operation KPC and Arutmin is inseparable from our Health and Safety programs. Our people are our key asset, therefore their health and safety is paramount for KPC and Arutmin to ensure, maintain and improve. We continue to exercise the OHS policy not only as a guideline or regulation that must be acceding, but also as a daily basis conscience-lifestyle of KPC and Arutmin. 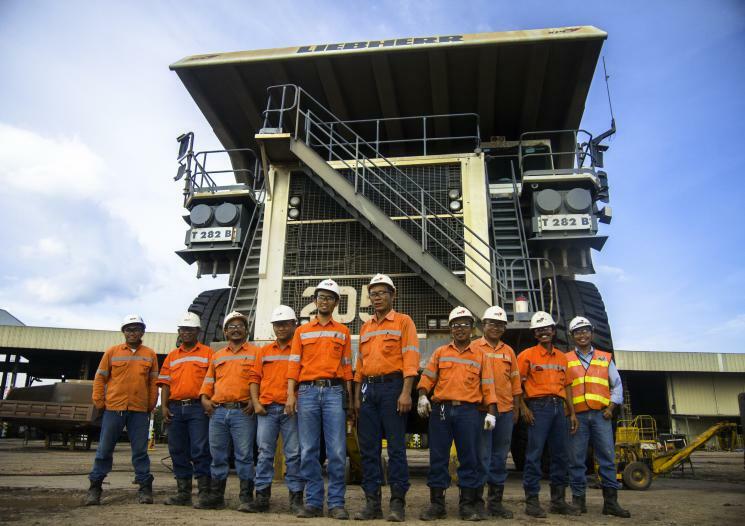 We are committed in achieving zero-accident in all areas and mining operations. Therefore KPC and Arutmin follows both national and international standards of health and safety guideline, including OHSAS 18000 as well as health and safety legislation of the Ministry of Labor of the Republic of Indonesia.